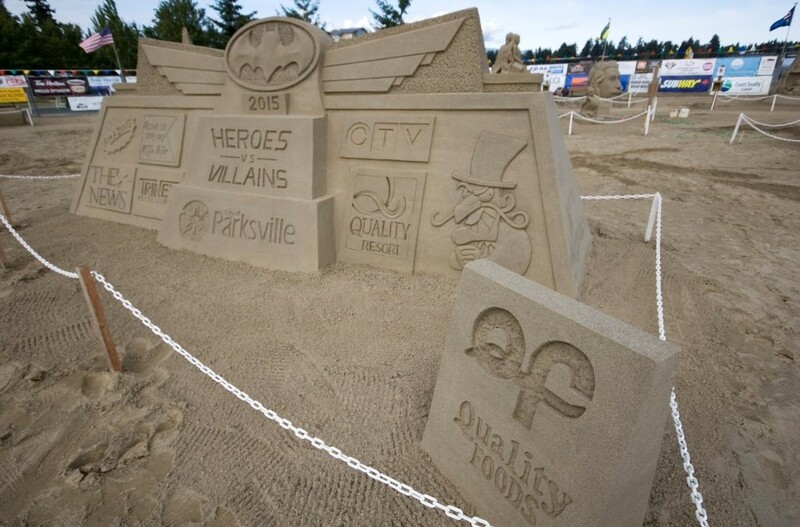 The new producers of the Quality Foods Canadian Open Sand Sculpting Competition and Exhibition have over 25 years’ experience staging major events and promotions. With an extensive background in event management, Lewis & Sears Marketing & Event Management brings a creative approach, vast industry resources, and impeccable eyes for detail. Owners of this local business, Susan Lewis & Wendy Sears, also produce and manage the annual Filberg Festival, Western Canada’s largest outdoor juried arts show which takes place BC Day weekend in Comox. Lewis & Sears replace Trish Smith, who was the event manager for the past 5 years. “The Parksville Beach Festival Society is delighted to welcome Susan and Wendy to this position. Drawing from rich experience and understanding of events, they will add their own stamp to our world class event, maintaining the integrity and reputation while helping us grow responsibly,” said President, Cheryl Dill. “We have been very pleased with Trish’s contributions and wish her well in her full-time employment at Vancouver Island University” says Dill. The Quality Foods Canadian Open Sand Sculpting Competition and Exhibition is a world class event for Master Sand Sculptors and is an official qualifying event for the World Championship of Sand Sculpting. Master Sand Sculptors travel from all corners of the globe to participate in this remarkable competition and exhibition in Parksville, British Columbia, Canada. For more information and sponsorship opportunities, visit www.parksvillebeachfest.ca.